Distributor / Channel Partner of a wide range of products which include sim card shredders, tablet strips shredding system, tablet strips shredding, capsule shredders ps-404 ccx, sim card shredders ps-407cc and packaged tablet shredders ps-407 ccx. Backed by rich industry experience, we are affianced in providing a qualitative assortment of Sim Card Shredders. These shredders suitable for security presses engaged in shredding credit cards, smart cards, sim cards. PVC sheet becomes almost granules after passing through the machine. 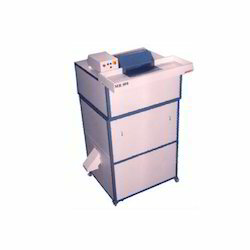 Owing to their quality attributes, these shredders are widely accepted by our clients. Apart from this, these shredders are delivered from our end only after checking thoroughly against various quality parameters. In order to meet variegated demands of clients, we provide these shredders in customized options as per their requirements. We are passionately engaged in providing an exclusive array of Tablet Strips Shredding System for our esteemed clients. It is mainly used in hazardous waste management for pharma companies engaged in tablet wholesaling. After passing through this integrated unit the packaging material and the chemical compound of the tablets get shredded and separated up to 95% from each other. In addition to this, every single product offered by us is subject to a variety of tests to ensure that it complies with the set global quality standards. is designed to avoid air pollution which is very effective if connected to dust collection systems. Owing to the years of industrial experience, we have been able to serve our valued clients with a wide range of Tablet Strips Shredding. It is mainly used in hazardous waste management for pharma companies engaged in tablet wholesaling. The total system is designed to avoid air pollution which is very effective if connected to dust collection systems. Further, we check our products on different parameters before their final dispatch in order to make sure that this product in compliance with the global quality norms. upto 90% from each other. The total system is designed to avoid air pollution which is very effective if connected to dust collection systems. Our domain expertise has enabled us to offer an excellent collection of Capsule Shredders PS-404 CCX. Offered shredders are suitable for factories having air pollution equipment in place or outdoor operation as some odour and some powder emanates from the chemicals. Provides protection against earth faults, these shredders are designed using premium quality material and advanced technology. Further, our quality controllers check these shredders on stringent parameters for ensuring their compliance with the defined industry norms. 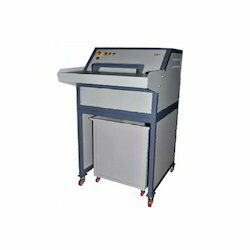 In addition to this, our esteemed clients can avail these shredders from us in various technical specifications. 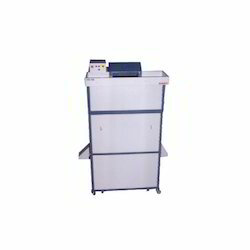 With assistance from highly qualified and experienced professionals, we are engaged in offering a huge gamut of Sim Card Shredders PS-407CC that are suitable for security presses engaged in printing credit cards, smart cards, sim cards. These shredders are wholesale using high-grade basic material and cutting edge technology. Further, these shredders are stringently checked under the supervision of our quality controllers on various quality parameters set by the industry. 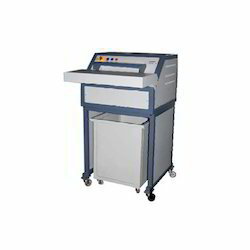 In order to fulfill variegated demands of clients, these shredders are made available in technical specifications. into 6x50mm pieces before feeding into chemical reactors inorder to reduce the cycletime of the process. Can be used for paper shredding also. Looking for Application Shredders ?